I love to photograph wild flowers during Spring time in Southern California. What make it hard to photograph these wild flowers is that they are very unpredictable. Even at the same area, they don't bloom the same every year. Some year they don't bloom at all. Along the freeway from San Diego toward Camp Pendleton, there are tons of these wild flowers but they on the side of the freeway or inside the military ground so you won't be able to photograph there. One of my favorite areas to photograph these flowers is in Chula Vista area in their regional park. I did a portrait session for Tracy there couple weeks ago. The second location was taken at the historic park in Old Town San Diego. Last month, I had the opportunity again to collaborate with Victoria on a fashion photoshoot in Southern California. We did 3 outfits at three different locations in Anaheim, California. The first location was outside building with a cool stairway. I like simple setting so it will bring out the subject and the outfit. The first outfit was simple so this setting was perfect. The second location is a sidewalk of a near by businesses. We shot on a weekend so it was perfect. The area was empty and had the whole area to ourselves. I like the green tree bushes in that sidewalk. It really helps shape the overall composition and frame the subject. The last location was amazing. I came across this while scouting that morning. It was a wrong turn into this neighborhood that review this location. It was just an alley in this small neighborhood but turn out to be fabulous location. One side of the alley cover with bougainvillea. It is hard to find an area that fill with these and easy access to shoot so it was perfect. We had the opportunity to work with Gabi for her high school senior photoshoot look. She has great personality and was very delightful to work with. Just like any other stylize photoshoots that we had done, we tried to find the best location that suitable with the wardrobe and with the best available light. As the sun coming down, we tried to let in more of the warm sun of the golden hour. These are some of our favorite shots of Gabi. It took a few moment at the beginning to get her to relax in front of the camera and once we show her and her mom some of the images just taken on the back of the camera we had her trust in us to create great images for her. Last week during my training in St. Louis, MO, I had the opportunity to work with Courtney on a shoot. Courtney's mom, Sandy drove her down to St. Louis and we did the shoot at the St. Louis Union Station. There were many great area at the station and I choose two areas there to photographed Courtney. The first area was the court yard in the back of the grand ball room. After we finished with the court yard area, we went out to the old train yard area to photographed Courtney for the second look. Here are a few of Courtney's photos that I really like. 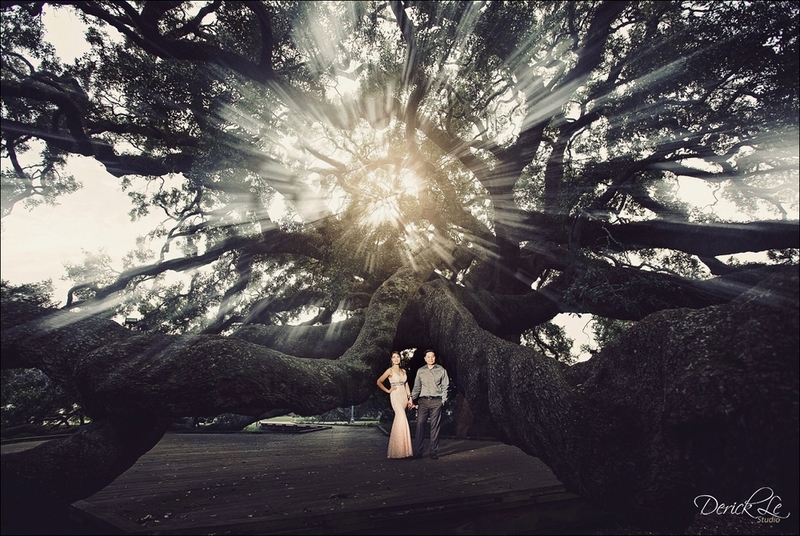 This year, we will be photographing for Winnie and Phuc's wedding in October. I still remember not too long ago I had the opportunity to work with Winnie's sister, Annie on her engagement shoot. We always talked about photographed Annie's engagement photoshoot in New York city but the time wasn't right so we had to photographed it in San Diego. It was amazing session as well. When Winnie contacted us to photograph her weddding in 2016, NYC was one of the potential location for her engagement shoot and the opportunity came when Winnie's work travel happened to be in that city. So, we scheduled the shoot and here are some shots from our session. A few months ago, I had the opportunity to photographed for Trinh and Juan in Cancun, Mexico. Not too long after that, Juan popped the big question and Trinh said "Yes." I known Trinh for a long time and get a chance to hang out with her and Juan during my trip in Cancun. It was such an amazing time. What a wonderful couple and I enjoyed every minutes photographed them both along the shore of the beach near the resort that we stayed. Here are some of the shot from that morning session. 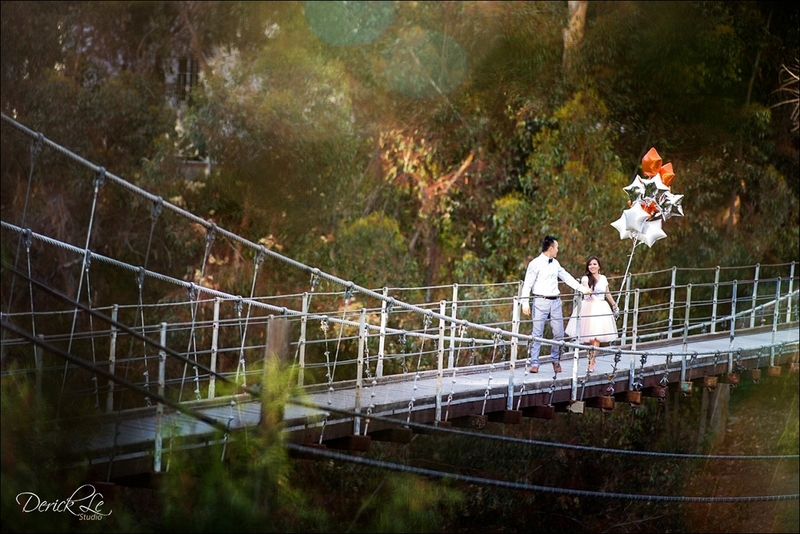 In less than a month, we'll be photographing Han + Huan's big day. Just went through some of their engagement photos from a few months back. Here are some of our favorites. We photographed these in St. Augustine old city, Jacksonville beach and downtown landing area. We have recently started another brand for our photography service that will support high school senior portrait. Our former HS Portrait.us will be merge with our new brand Florida Senior Ignite. This new branch will be dedicated to give our high school senior an opportunity to work one on one with our photographers and be model for the day. When thinking about high school senior photo, everyone will remembered those old photos in the studio with the graduation year in that block letter, the same old boring background. Our new Senior Ignite brand is a completely modernize and fashion approach. All of our shoots are done on amazing locations. We do not have limit on the number of outfits change so our seniors can bring as many outfits that they like during their shoot session. Last month, we did a session for Jeannie in St. Augustine. Jeannie will be graduating this year and we are glad that we can capture her image for her senior year. Here are some of the images from her session. Each year during the month of October, I tried to go to an area with a true look and feel of the Fall season. Last year, I traveled to Boston, New Hampshire, and Maine. It was such an amazing experience that I decided to come back to the East Coast again this year. One new destination this year in addition to Boston and Maine, I also visited Vermont. I have to say this new place is incredible. After year of looking at the photo of the Sleepy Hollow Farm on Pinterest, Greg and I had found it and it was so cool seeing it with our own eye. The farm is so magical. We spend our whole morning photographing this place before driving up to Maine. I had a chance to walk around Boston when I first got there. Here are some photos from my trip this time. Hope you guys enjoy them as much as I did when I was there. Here are some sunrise shot in Boston on the first morning I got there. Boston common still half way change on the leaves. Some cool alleys in the Beacon Hill area. I wish the tree color was a little bit more yellow. Saw a golden retriever sat on the sidewalk checking out see what I was doing. Sleepy Hollow farm in Vermont. I love this place so much. Wish we had a couple here for a bridal session. Took this shot on the way out from Sleepy Hollow farm. I like how the house in the hill reflect down in the pond and the surrounding. This has to be one of the weather challenged engagement photoshoot for us. We started in downtown San Diego getting an urban look and feel. One of Mimi's friend had an old Mustang that she was so kind to let us used for the shoot. It was such a beauty to photographed with. My special thanks going out to Josie for helping us styling for the shoot. Josie helped making sure that Mimi hair and makeup was okay and all the wardrobe is good. She also helped me with the lighting and throwing the dress to make it fly :) which was awesome. We decided to venture to Salton Sea area for our finale shoot. When we got there, the temperature jumped to close to 100 degree outside. Salton sea was very humid and hot. We trying to stayed in the shaded and shoot as much as we can. When the sun down and closer to sunset, we went back out toward the water area to capture the sun setting. Behind the scenes from our shoot. Just few days until Krystie and Jonny's big day. I had the opportunity to photograph the bridal session for them this last week. It was such an amazing time since I had work with them before on their engagement just last year. Here are a few shots from our session in San Diego. I remembered we had to change our shoot day to the following day because of the rain on Saturday. We started early the next day. After we finished with our last location, a few hours later it started pouring down again so we were very lucky. We tried to get a varieties of looks for Tanya and Son through out San Diego. Here are some of the shots from our session. Welcome to the family Alexa! As you know, we have our high end Milano album line for a long time. We just recently releasing her sister album line, a new signature and luxury album collection that is fully custom, hand made here in United States by our album partner Azura. Our new album collection is called Alexa. This collection combine some of the most trendy two tone leathers to produce the most unique looking album in the market today. In addition to the releasing of the Alexa album collection, we also will be adding a new album size to our high end album line. It is quite unique with its size being 8 x 20. Our goal has always been trying to produce a product that is unique, long lasting and worthy of being the first heirloom for our couple and we believe this new album size will do just that. As you can see with the layout of the album. It still hold its effectiveness in story telling from the layout and it flow from one page to the next very smoothly. Last year, I had the opportunity to photographed for Jenni's sister engagement in the East coast. Time fly so fast and now it's Jenni's turn. I took her engagement session with Tu in the beautiful San Diego area. I covered various area of looks for Jenni and Tu. We started out with La Jolla beach then move down to downtown area and finished at Mission Bay. While cleaning up my hard drive, I saw one of my cool shoot last year for Krystie and Jonny. Krystie contacted me to do a couple shoot for her and her boy friend at the time now fiancee, Jonny. She said Jonny wanted to do a couple shoot and asked her to contact me. I had known Jonny and Krystie a while back when Krystie was running for Miss Vietnam USA as one of the contestants. The shoot went great and toward our last location in La Jolla. Jonny pull me aside and asked me if I can do a few more shots and I said sure. He then said he was going to propose to Krystie and one me to get the shot of him kneeling to proposed. So I tell Krystie that I want a few more shots and posed her with Jonny near the rock at the beach. After a couple click then Jonny pulled out his ring and proposed. It was my first time photographed a proposal on site without knowing before hand. Such an amazing opportunity and privilege to witness an event like this. I hope you guy will enjoy this series as much as I have. In about a month, I will have the opportunity to photograph Michelle and Tuyen for their big day. It has been a long journey. Tuyen and Michelle living in Phoenix, AZ but Tuyen's family side is still in San Diego. During their visit a year ago, they stopped by my bridal show booth in Mission Bay Hyatt hotel. After a short consultation answering all of their question about the wedding photography. 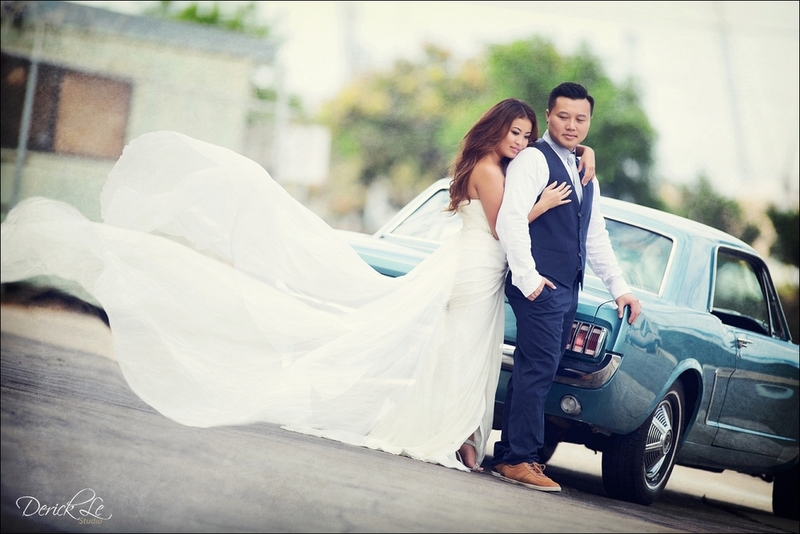 Tuyen and Michelle called me the next day on their way back to Phoenix and booked us for their wedding photography. 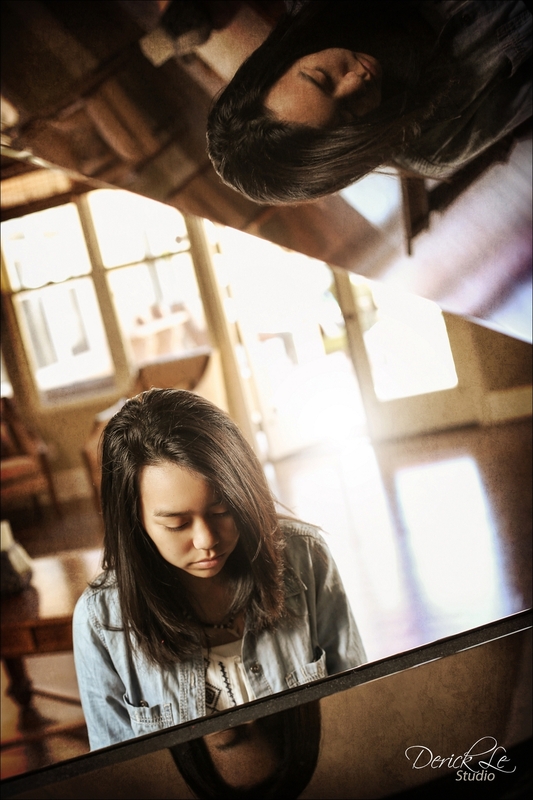 Below are a few images that I took of Michelle and Tuyen in Phoenix a few months ago for their engagement session. I was super excited to be able to photograph them in a new area that I had not shot before. It was during the month of May which is the beginning of summer but already too warm. We started early around 9 a.m. heading out to Sedona for our first location then continue on to other place. It was an amazing experience for me minus the weather which was 100+ degree. We made it through and love all the images from the session. This session, our photoshoot setting was at Patty's house. I really like all the work that Patty and her husband did on their house. I hope you guy will enjoy these photos as much as I did when I photographing Patty and her family this year.